Freedom is thus defined negatively and affirmatively, as the absence of compulsion and self-determination respectively. In other words, freedom exists when the act with not from force and the person acts as they desire. This freedom is also the basis of accountability. Murray argues that a person is responsible for their actions because those actions are the outworking of the person’s will (or volition). Persons are responsible for their volitions because volitions are given energy by the person they belong to. It therefore follows that a person’s volition is an expression of who they are. It reflects their mind, their heart, their biases, and their prejudices. 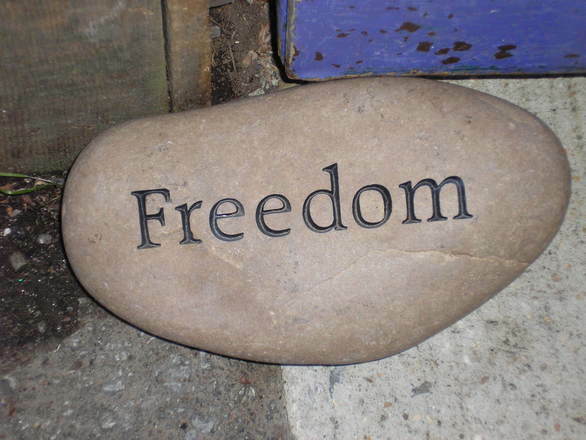 When discussing the freedom of a person we should not limit freedom only to actions and will. We ought to look behind the will and see that freedom is also applied to the heart of a person. In this post I discussed how the root of free will was the heart. We understand the condition of the heart after the Fall is corrupt. Therefore the person is depraved and this depravity is their own. Contrary choice – is the ability to choose between alternatives that are morally antithetical, between good and bad regarded not relatively but absolutely in terms of God’s judgment. Alternative choice – is the choice between alternatives that are ethically of the same character, alternatives that are both good or both bad. 1. It is false to say, “There is no situation where a person has had the power of contrary choice.” This would deny the choice made by Adam. If it were true that the power of contrary choice was never available, then it would follow that Adam needed to sin. However, that would be false because Adam was created “upright and holy”. Yet in regeneration the person has the power of contrary choice. They now have the ability to do good because of the righteousness they possess while the ability to sin is still present due to indwelling sin. 2. It is false to say, “Fallen and unregenerate persons are without the power of alternative choice.” The unregenerate is in a state of sin. Scripture affirms they cannot do those acts that are righteous and pleasing to God. Righteous acts that would flow from an unregenerate heart are impossible. Rom. 8:7 For the mind that is set on the flesh is hostile to God, for it does not submit to God’s law; indeed, it cannot. It is proper to understand the unregenerate person has the power to alternative choice, for clearly there a numerous choices within their reach, though they lack power to a contrary choice. 3. The foreordination of God is not dealt with in the issue of the existence of contrary choice. Truly all acts and choices are foreordained by God, and only those foreordained acts come to pass, yet this is a separate (though important) discussion. The critic will attempt to leave the discussion of “contrary choice” to discuss foreordination but this changes the conversation. It becomes (rather by intention or not) an attempt to remove the category of “contrary choice” and force upon us a type of determinism we do not hold. It severely warps human agency and possibility particularly that foundational aspect affirmed of Adam. To remove contrary choice from Adam is a grave error and this we must maintain unequivocally. Foreordination does not remove agency, voluntary decision, or responsibility. Thus it is proper to understand that in Reformed theology freedom is affirmed and critical to be understood properly. The unregenerate person freely makes choices. They may not be able to make choices that are contrary but they can make alternative choices with their agency maintained. Are the Westminster Standards Contrary to the Reformers?